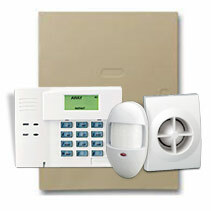 Note: Ademco 6160 Keypad is needed to program any Vista Control Panel. Keypad included is NOT a programming keypad. Honeywell’s feature-rich VISTA-10P is the industry’s most economical and versatile control panel and is ideally suited for a wide range of applications. VISTA-10P gives you the ability to send alarm signals and upload/download via an Internet Protocol (IP), improving the speed at which information can be delivered to and from the control panel. In addition, when used with an AlarmNet Internet or digital communicator, the VISTA-10P can be installed in premises without TELCO lines – guaranteeing communication independent of any home infrastructure.